Alexandria, VA - Alexandria Winter Restaurant Week returns, January 13 - 22, 2012. 60 restaurants throughout the city will feature a $35 prix-fixe three-course dinner or $35 dinner for two. Savor the flavors of Alexandria&apos;s distinctive collection of eateries, from fine dining establishments to casual neighborhood favorites, with special offers available exclusively during the event. Restaurant Week menus and online reservations are available on VisitAlexandriaVA.com. The list of participating restaurants is below. This 10-day event lasts two weekends, inviting residents and visitors to experience Alexandria&apos;s diversity of restaurant choices and taste the culinary inventiveness of local chefs. Alexandria Restaurant Week was launched in 2009 and has been a hit with patrons and restaurateurs ever since. The event now takes place twice a year, in winter (January) and summer (August). The Alexandria Convention & Visitors Association coordinates and markets the event, which is free for participating restaurants. In addition to serving as an economic driver for Alexandria restaurants, Alexandria Restaurant Week builds the Alexandria brand as it helps the city to become known as a culinary destination. Alexandria restaurants have taken their place alongside Washington, D.C., restaurants as some of the best in the nation with The New York Times praising,"...the city has taken its place at the culinary table". 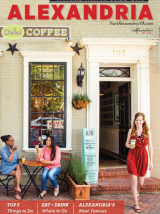 With both locally owned and operated neighborhood restaurants as well as nationally recognized chef-owned eateries, Alexandria is a flavorful melting pot in the truest sense.